Apple is focusing on performance in the next version of iOS, the iPhone software, recent reports in Bloomberg and Axios say. This is great news for iPhone owners, who have increasingly noticed bugs and glitches in Apple’s software. Apple is expected to release a new version of iOS in September. If you use an iPhone, you’ve probably recently encountered an annoying glitch or bug. A bug caused iPhones to crash on December 2. Some people couldn’t pick up calls on their iPhone. A calculator-animation issue caused people to get a wrong answer. Does this mean the quality of Apple’s software is slipping, as experts and armchair analysts have been debating for the past year? It’s hard to tell for sure – software always has bugs, and as Apple sells more iPhones, it increases the potential pool of people who will encounter a glitch. But the biggest sign that this is an issue comes from Apple, which is set to upend its traditional software-release strategy. The next version of iOS most likely won’t have a major home-screen redesign or a big killer new feature, as previous versions have brought. Instead, the update will focus on bug fixes, stability, and getting things right, according to recent reports from Bloomberg and Axios. When the next iOS comes out – probably in beta this summer with a global rollout in the fall – it’s likely to be very similar to your current iPhone experience, but faster, more stable, and more reliable. One thing that makes Apple special among big tech companies, people who have worked at Apple say, is the importance of the release schedule for hardware, which needs to be designed, programmed, built, and shipped by a certain date; you can’t go back and fix it afterward. So the whole company keeps its eyes on the all-important product-release schedule. Some compare it to an army marching: Everyone moves forward in lockstep, working toward a common goal. But it trickles down to software as well. In recent years, Apple has launched a new version of iOS alongside the new iPhone. Those new releases come with so-called tentpole features, or big new additions to iOS that the company uses to market the iPhone. Management assigns those tentpoles to a software group, which toils day and night to deliver them by the phone’s release date. So the reports that Apple is now taking a longer, less deadline-driven view of tentpole features to focus on bug fixes signal a big change in the way it develops software. That suggests Apple now realises most iPhone users are not necessarily technology super-experts, as they may have been in the early days of the iPhone or the iPad. Instead, may iPhone owners use the devices as their computer, day in and day out. For them, reliability is much more important than a software update that may add a feature their older phones don’t even support, like the lip-syncing Animoji, an iPhone X exclusive. And that’s especially true if those updates introduce the possibility of new bugs or glitches that complicate their experience. Ultimately, this change is very good news for any iPhone owner. Innovation at Apple won’t stop – it still needs to sell new phones every year – but it suggests Apple won’t be pushing out half-baked features just to make old iPhones feel new. It’s probably also good news for software engineers at Apple, who may get to take a break now and then from the relentless marching forward of the army – though some all-nighters are most likely still in their future. In many ways, the shift reported by Bloomberg and Axios shows that Apple understands the iPhone is no longer a young product; at 10 years old, it’s fully mature. And mature products don’t need to change every year for comparatively arbitrary reasons. Steven Sinofsky, a former Microsoft executive who’s now a board partner at Andreessen Horowitz, highlighted this line of thinking in a series of tweets on Monday. He argued that Apple’s bugs aren’t more common now than they were in the past. Instead, he says, the reported change in its software focus isn’t a reaction to outside criticism, but simply what any big tech company needs to do after a few years of building out its core product. In other words, Sinofsky says, what’s happening at Apple is a natural reaction to the balance a giant project like iOS needs. And as hundreds of millions of people use iPhones for hours each day, a larger share of users will experience a bug, Sinofsky says. His takeaway? Don’t panic. Apple knows what it’s doing, and the change in its development process will make it stronger in the long run. This isn’t a move made out of desperation. Apple is deciding to head off a process that stopped producing the desired output. A grand rethinking of iPhone software production is a very good development for all users, especially those who value reliability and consistency. 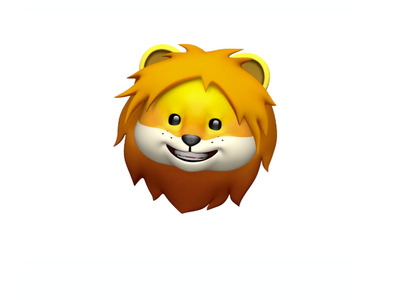 The next iPhone update may not have super-Animoji. But if it crashes less often, lots of people should be happy.